A new study by mobile security vendor Lookout finds that 62 percent of American households have at least one old cellphone lying about. Some 10 percent of households have four or more old devices stuffed into a drawer somewhere. If you put them all together, Lookout says, that’s enough cellphones to stretch from San Francisco to the North Pole and back. Reasons for hanging on to the redundant phones vary, but they include not knowing what to do with the devices, concerns about security, and the fact that some information remains only on that device. 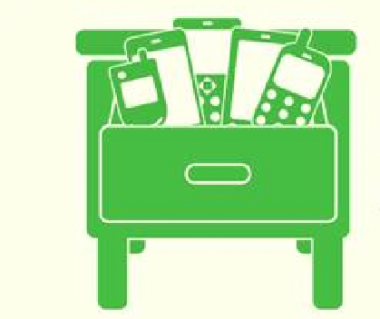 For those looking to get rid of old devices, there are plenty of options that will put the phone to good use, including programs that donate devices to soldiers or to domestic violence survivors. Lookout recommends taking steps such as backing up the data, erasing the phone, and removing the SIM card.